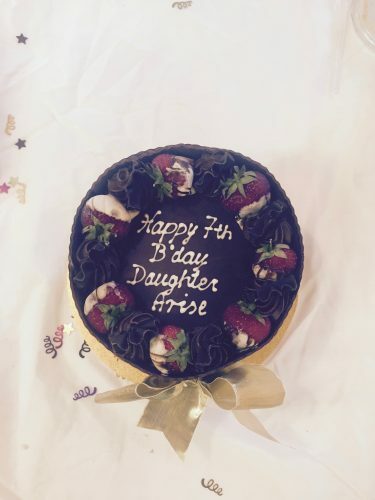 Daughter Arise recently turned 7 years old on Wednesday 11th July and to celebrate we had a special themed support group called ‘reclaim your power’. 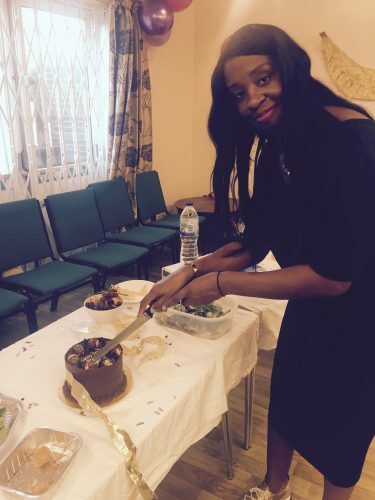 It was such an empowering session; we shared food, stories of our own self-empowerment and our guest session leader Chrissy Kelly of Fabulous thinking led us in a powerful poetry exercise that encouraged us to ‘be our own superhero’.The ladies enjoyed the exercise and so did I! When I started this organisation it was really just about providing a safe space for survivors to access support at a difficult time in their life. Even though my book Daughter Arise had a great impact on many people, I wanted to provide something more than words; I wanted to show love through action. Daughter Arise the organisation was established in 2011 and it was hard to talk with people about supporting survivors of sexual abuse. If you think talking about sexual abuse is hard now back then it seemed impossible, but because of the unfortunate scandal surrounding Jimmy Saville and his sexual abuse of thousands of victims, that got exposed during this time it brought awareness of it to the wider public and it was then more survivors started to disclose their experience. And this is not including the hundreds of leaflets we have given out in different areas, the support we have provided to survivors going through court cases or support given to survivors to tell family for the first time they were sexually abused. We have also supported survivors in other parts of the world in places such as Los Angeles, Salt Lake City, France and Germany. We also helped survivors in practical ways such as going and helping to de-clutter homes, C.V, debt and benefits help and signposting; we embody our motto of ‘love in action’. 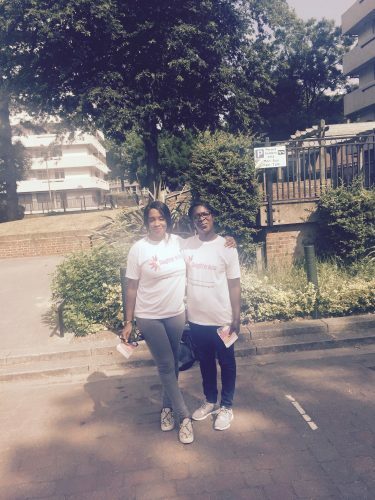 I do this work as a volunteer because I am passionate that no one who has been through this type of abuse should be without support, as it is a known fact that many survivors are often left ostracised and isolated because of their experience. So what is the plan going forward for Daughter Arise? Well basically to continue to build upon the good work we have been doing by building relationships with our surrounding communities, councils and other organisations, to host more awareness events and continue to support survivors of abuse. I do recognise there is still much work to do, but it is also important to stop and celebrate all the achievements we have done. I am thankful for the strength, passion and drive that God has given me to do this important work and I pray Daughter Arise continues to grow from strength to strength so that 7 years from now we can celebrate many more milestones. Happy 7th Birthday Daughter ARISE! To receive an email notification when Yvonne publishes a post, just complete the easy to use form with an email address. Are you passionate about helping women in need?